Having children has really made me appreciate the true magic of Christmas. People often assume that as you grow up, Christmas loses that spark but for me, it is well and truly ignited, and I would happily forgo any presents under the tree to see the excitement and happiness my children get when they see Santa has paid them a visit! There are so many wonderful toys and gifts for children out for Christmas this year, and I’ve put together a few of my faves. 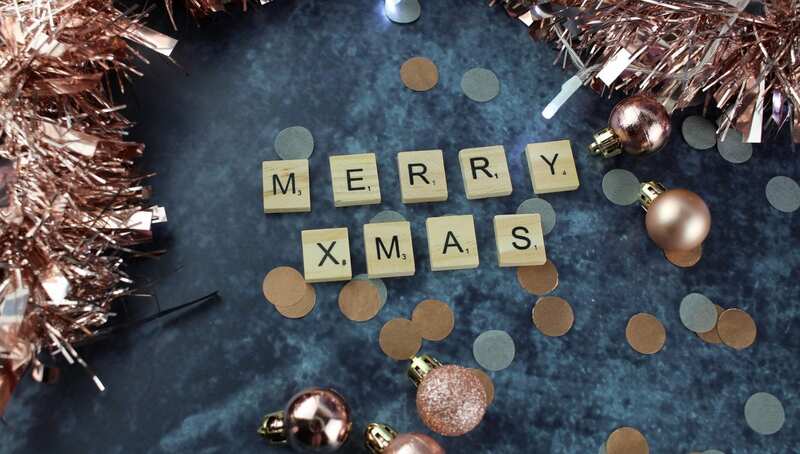 I’ve split this post into two because there was simply too many great gifts to choose from so continue reading for part 2 and head over here for part 1! 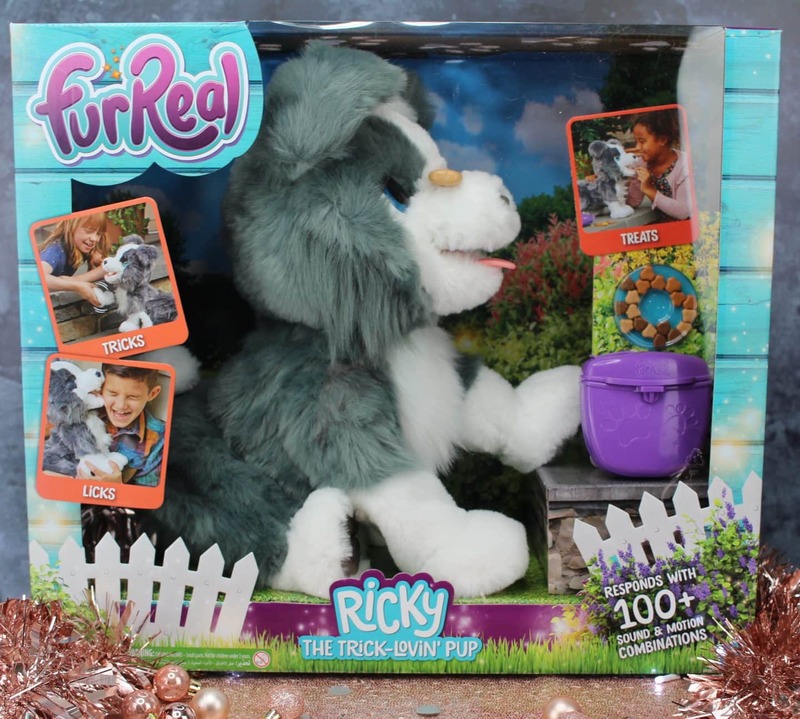 FurReal Ricky, The Trick-Lovin’ Pup is going to be one of the must-have gifts at the top of Christmas lists of many children this year. I can’t tell you how much I adore this product and how clever and well made it is! Ricky is an animatronic puppy that performs tricks, eats treats and has over 100 plus sounds and movements that make this toy almost lifelike. Ricky is super soft with fluffy grey and white fur he makes the perfect cuddle companion, but he can do so much more. Once you insert 4 x C batteries (not included) Ricky springs to life barking, tilting his head and performing tricks galore. His tongue is made of rubber which gives it a real lick feel and he is a great size which really adds to the real-life illusion. There are so many children that want pets and dogs for Christmas, but their circumstances make that either impossible or impractical. Ricky really is the next best thing and is far easier than looking after a real-life dog!! Children will be entertained and enthralled for days with this realistic pup! FurReal Ricky, The Trick-Lovin’ Pup is suitable for children aged 4+, and he comes with his very own treat pouch, treats, bone toy and full instructions. Ricky has an RRP of £134.99 which may sound steep, but this toy is far more than a stuffed toy that makes sound! Ricky can be purchased from *Amazon or John Lewis. When the game Pie Face came out a few years ago, it caused laughter and entertainment like nothing before! We as a family were big fans of the original Pie Face game, and it was a massive hit for the younger and older members of the family. 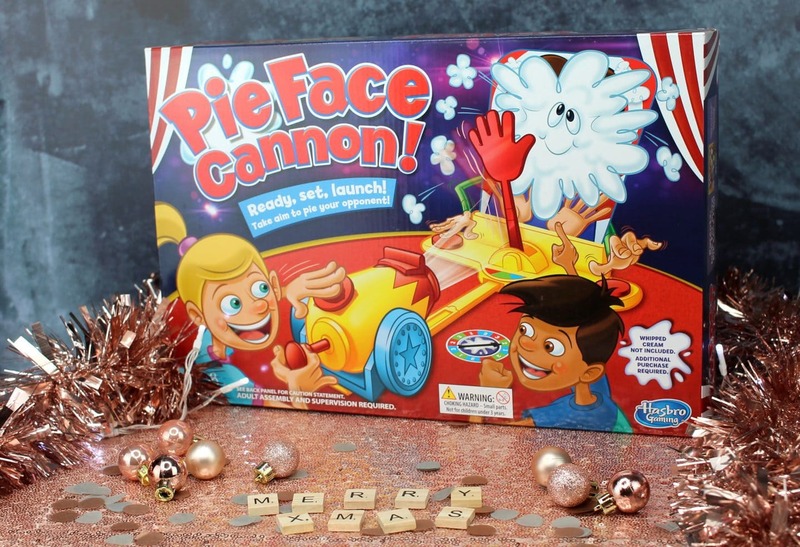 Games like Pie Face are perfect for family get-togethers like Christmas, so I was really excited when I heard about the new Pie Face Cannon Game. One brave player places their face into the mask hole where an opposing player tries to aim and launch whipped cream at them. The player being shot at can attempt to avoid being pied in the face by using the blocking hand but don’t be fooled it’s not as easy as it looks! Players earn points by scoring pies to the face or successfully blocking their opponent’s attempts. The first player to reach five points is the winner! Pie Face Cannon comes with everything you need to play you just need to add whipped cream! There is some minor assembly required but nothing too tricky. The game is suitable for ages 5+ and is sure to be a huge source of entertainment for many families this Christmas! With an RRP of £26.99, you can purchase Pie Face Cannon from *Amazon. Load the ice cream maker set with your choice of Play-Doh and then push down the handle to create a soft-serve style ice cream cone. You can even create your own Play-Doh sprinkles! 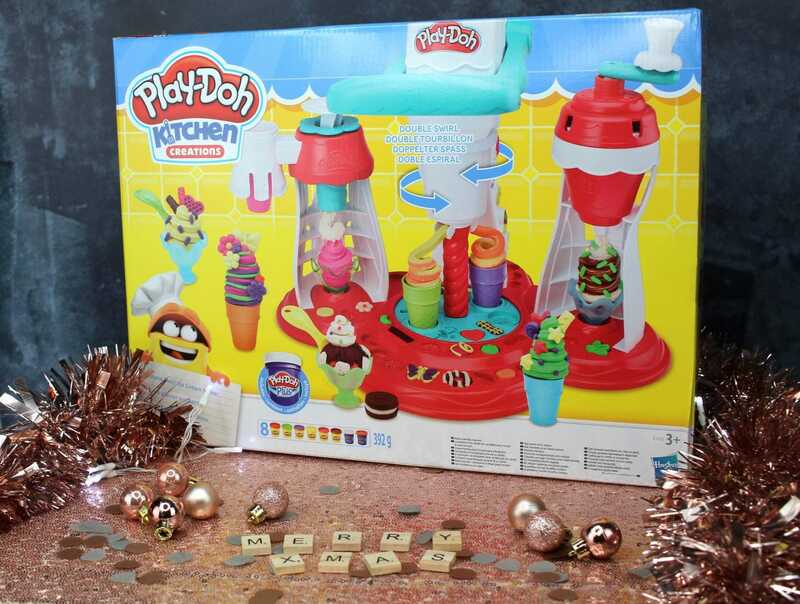 The Play-Doh Kitchen Creations Ultimate Swirl Ice Cream Maker is suitable for ages 3+, has an RRP of £30.99 and is available from *Amazon. As a child of the late eighties I grew up with Sesame Street on the television and those iconic puppet characters are still as popular as ever today! One of my favourite characters is the cute and mischievous Elmo. This Sesame Street Tickle Me Elmo is soft, cuddly and interactive! At 36cm high, he is a great size for snuggling up to and if you tickle his tummy he will wiggle and giggle! He is really sensitive too so doesn’t take much to get him giggling! You can also hear him talk and laugh by pressing his hands and feet and with over twenty different sounds the fun is endless! 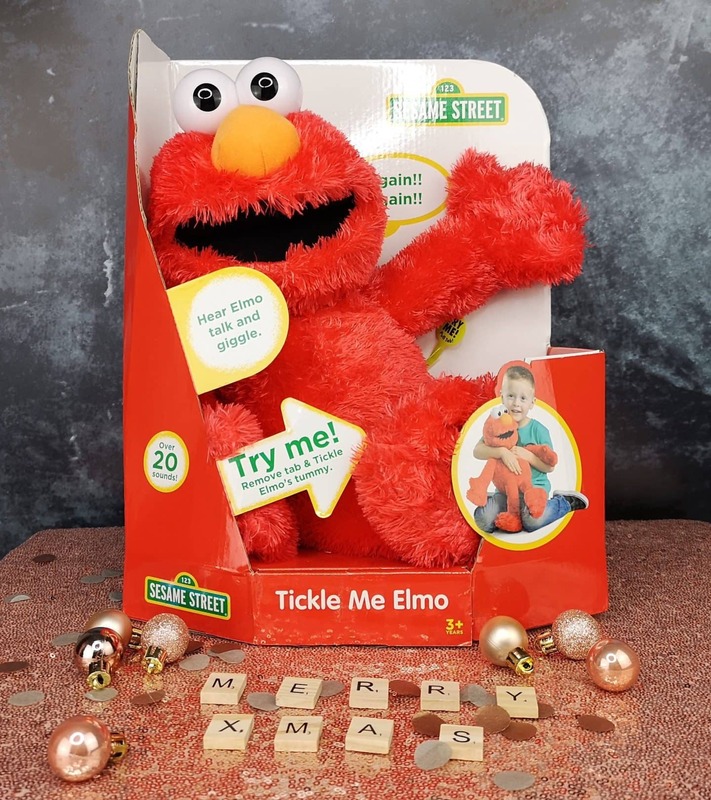 Sesame Street Tickle Me Elmo is a timeless toy suitable for ages 3 years +. He does require batteries which are included and there is no setup required so he is ready to play straight from the box. He is soft enough to enjoy as a soft toy but that interactive element is great for engaging younger children too. He is bright, colourful and well made perfect for being handled by younger children. Tickle Me Elmo has an RRP of £29.99 and can be purchased from most good toy shops and *Amazon here. 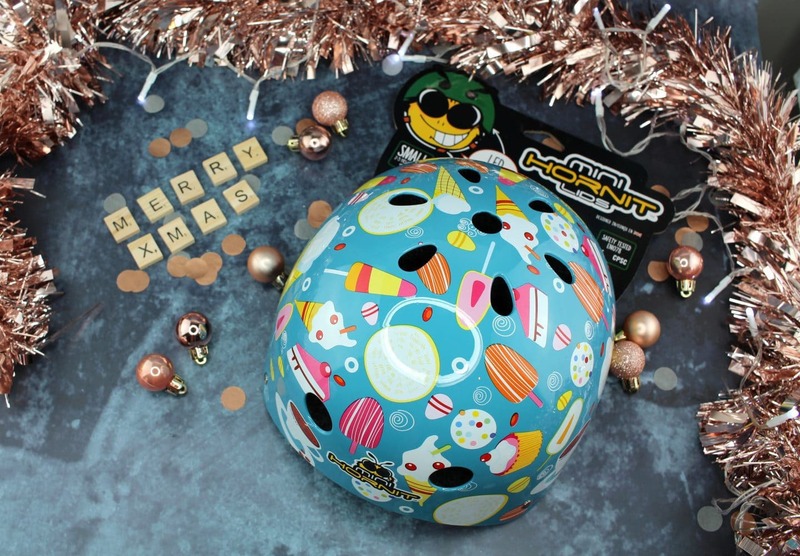 Bikes, skateboards and scooters are often high up on the Christmas list for some children, and with that, it’s important to remember the correct safety equipment. I’m a big pusher for kids wearing helmets as it’s so important to protect their heads, particularly when riding on roads and pavements. The Mini Hornit Helmets come in fun and exciting designs which makes children much more excited about wearing them. Each helmet comes in a fun design and is fully adjustable, lightweight and comfortable. The integrated LED light on the back of the helmet means that even when riding in the dusky evening children can be seen and stay safe. Henry always wears his Mini Hornet Helmet, and it’s comfortable without being heavy or bulky on his head. Children will find these helmets easy to slip on themselves, and they give parents the reassurance that they are protected and safe. These helmets are both practical and will last. Check out the full range of Mini Hornit Lids over on The Hornit Website here. I love Breyer model horses they make fantastic collector toys for children and they are well designed and made. Starry Night is a celestial blue mare with sparkly stars and constellations across her body. Both her mane and tail twinkle and glitter making her a very special horse to have. 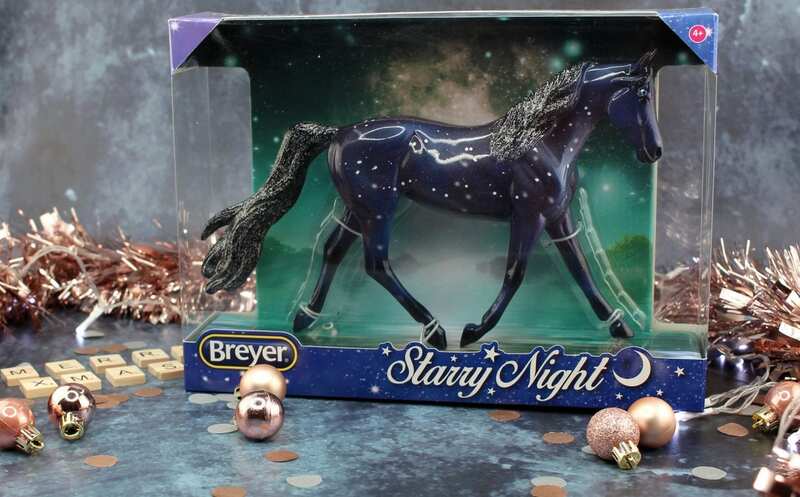 Whether your child has one Breyer horse or a whole stable full Starry Night is sure to be a gift well received. Breyer horses require no assembly or batteries making them great for encouraging children to use their imagination. Each horse is made from plastic and hand painted making them truly special. Recommended for ages 4+ with an RRP of £25.00 you can find out more and purchase here. Hama beads are over 50 years old, and they are still as fun and creative as they were when I was younger. The possibilities are truly endless with Hama beads, and it is easy to create unique designs by placing the Hama beads on to the pegboards either freestyle or following a template. Once the required design is perfected, it is then fused together using ironing paper and an iron. The 6,000 Complete Kit Medium from Hama is a fantastic gift for a first timer to try Hama beads or a veteran to add to their collection. It comes in a handy two storey box which makes keeping the Hama beads organised a breeze! The kit also contains over 6,000 midi sized beads, a parrot, pony and hexagonal pegboard, instructions and ironing paper. 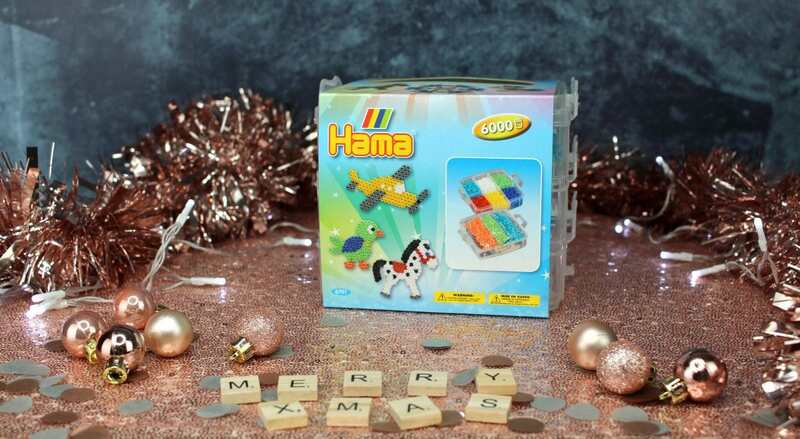 Hama beads add a different dimension to creative and imaginative play suitable for ages 5+ the 6,000 Complete Kit Medium has an RRP of £25.00. Find out more and purchase here. I hope you enjoyed Part 2 of my Children Christmas Gift Guide and it gave you some inspiration. Don’t forget to check out my other gift guides!